MISFITS, OSAKA POPSTAR, BALZAC, JUICEHEAD & MANY MORE GET ‘DEMENTED’!! 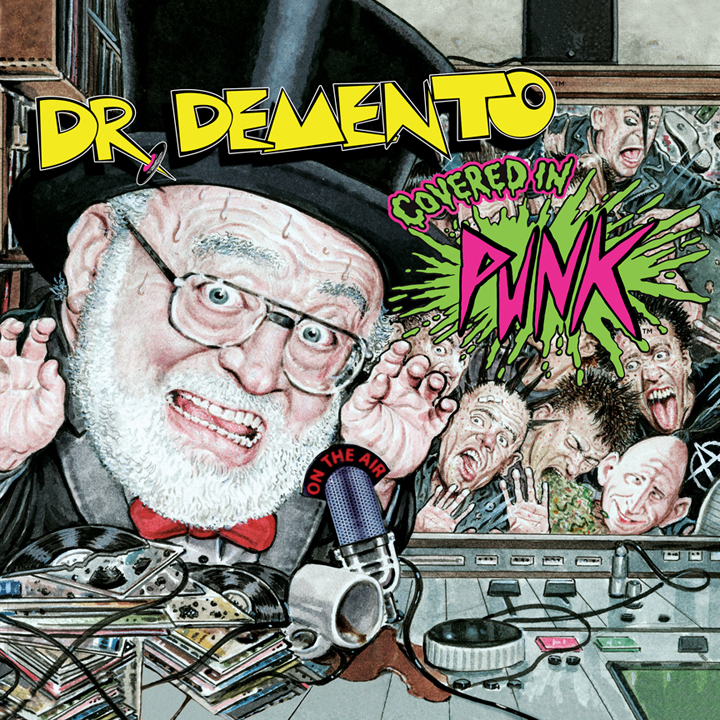 Both the two-disc CD, or three-disc vinyl LP come with an equally entertaining full-color booklet jam-packed with extensive liner notes and quotes personally written by the artists, a foreword by the album’s producer & curator John Cafiero (Misfits, Ramones, Osaka Popstar), an Afterword by Dr. Demento, as well as facts, photos, and an array of dynamic paintings and illustrations created specifically for the project by a team of visual artists spanning the world of comic books, classic punk-rock album covers, Topps Trading card series, Mad Magazine and more. 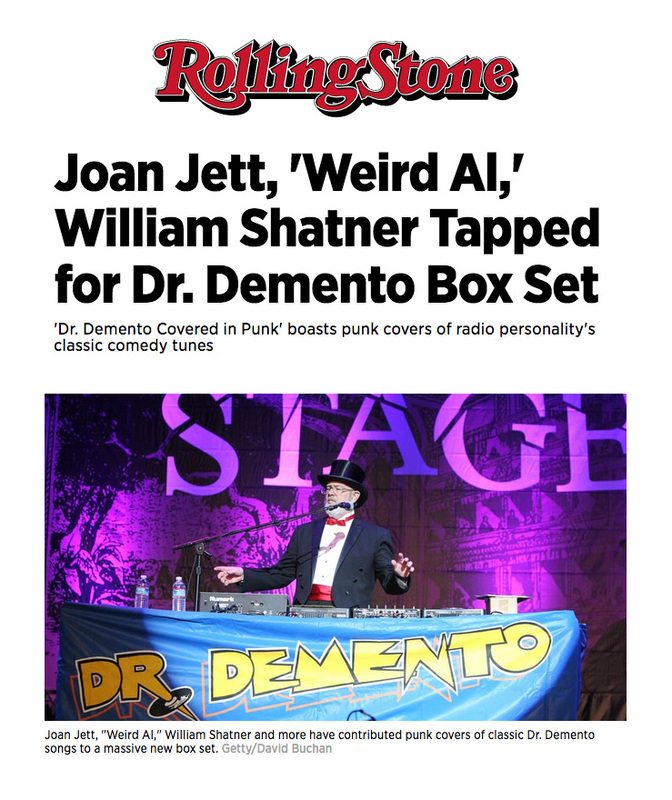 About Dr. Demento: The Dr. Demento Show has been celebrating ‘mad music and crazy comedy’ on the airwaves playing everything from Spike Jones to Frank Zappa for nearly five decades. Responsible for introducing the world to its #1 most requested song of all time, “Fish Heads”, and launching the career of the most successful artist in the entire history of funny music—”Weird Al” Yankovic; the world-famous Doctor’s influence on pop culture has earned him induction into the National Radio Hall of Fame, a documentary feature film on his life and career currently in production, and even an appearance on The Simpsons. 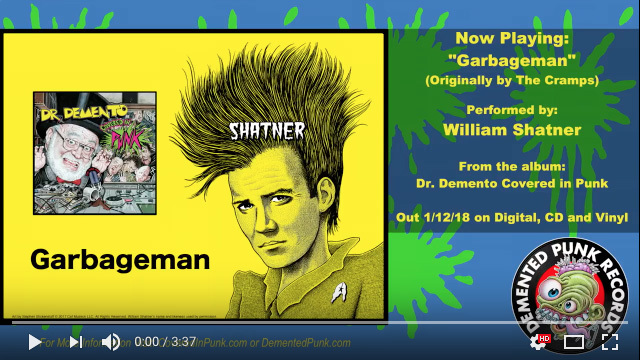 Click below to visit Demented Punk on YouTube and stream William Shatner’s cover of The Cramps’ punk classic “Garbageman” from the album now! 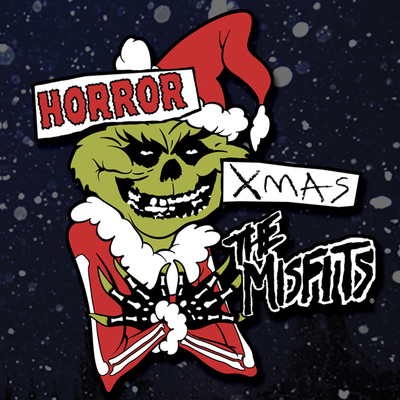 Fiends will be interested to know that the Misfits track, (a cover of Dr. Demento favorite “The Cockroach that Ate Cincinnati”) marks the final recording to see release from the “Devil’s Rain” lineup of Jerry Only Bass & Vocals, Dez Cadena (Black Flag) on Guitar & Backing Vox & Eric “Chupacabra” Arce on Drums. 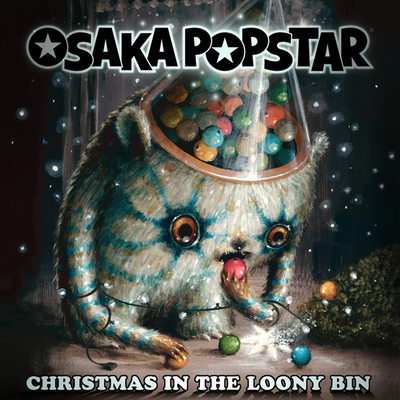 Osaka Popstar contributes punk-pop covers of “Fish Heads” and “Pico & Sepulveda”, and also back-up “Weird Al” Yankovic on his all-new ‘Demented’ cover of the Ramones classic “Beat on the Brat”. 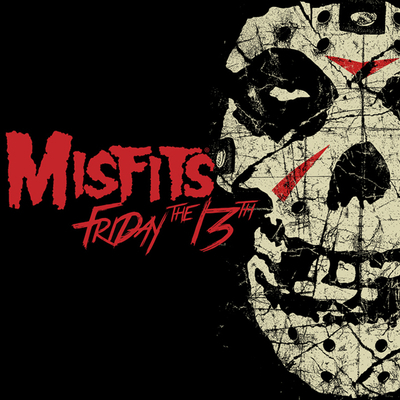 Misfits Records’ artists Balzac cover 60s era novelty hit “Rat Fink” (which had been covered by the Original Misfits decades ago for the B-Side of their 1979 “Night of the Living Dead” 7-inch), while JuiceheaD contribute a power-punk cover of “Suicide is Painless (Theme from M*A*S*H)”. Visit the ‘Covered in Punk’ Official Website for lots more info including the complete track list and artist line-up. Follow the release on Facebook and Twitter for more. Click the Demented Punk logo below to ORDER now, and look for the online exclusive variant vinyl Ltd to 500 pcs worldwide, plus lots more—while supplies last.